Reader Leslie asked me about the origin of the Hebrew term for acne - hatchkunim חצ'קונים. Both Even Shoshan and Rosenthal say that it likely comes from the word cheshek חשק - meaning "desire" or "passion" - since acne is associated with adolescence, the "age of passion". (In fact some people claim to have heard acne called חשקונים, which is closer to the original spelling). In addition to "desire", the root חשק also refers to binding, joining or attaching together. 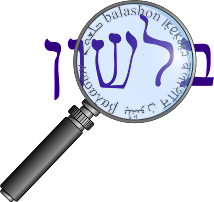 For example, a chishuk חישוק is the Hebrew word for "hoop", whose primary purpose was to bind the parts of a barrel together. unlike dabaq (דבק), hasaq (חשק) always has a positive sense, never a hostile sense like "stick to in pursuit".